It’s an experience a growing number of men and women enlisted today share. The deployment to Iraq. But not all share the experience Edgar Hernandez had. Hernandez enlisted into the U.S. Army in 2003 and one month later found himself held captive for 21 days at one of Saddam Hussein’s secret prisons. 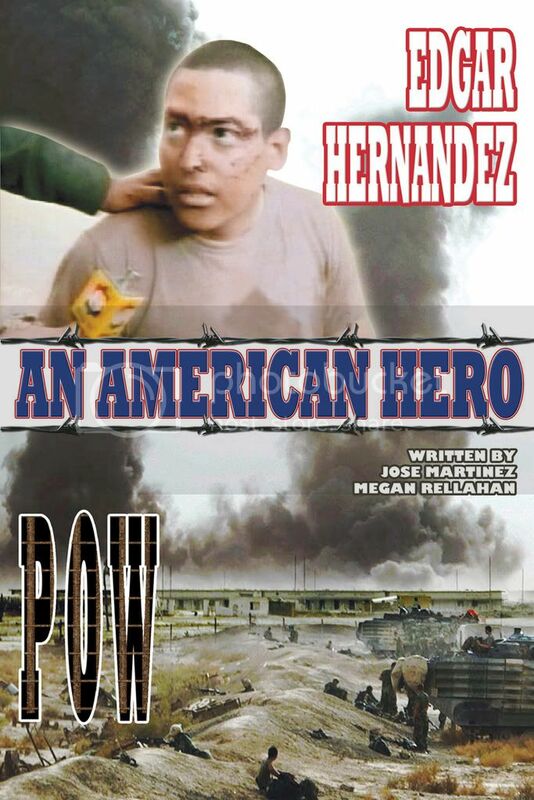 His personal account is told in vivid detail in the book, Edgar Hernandez: POW-An American Hero, written by journalists Jose Martinez and Megan Rellahan. Hernandez is a 21-year-old Army Specialist when his convoy was ambush. During the attack, Hernandez was shot and hit by grenade shrapnel in the face. Hernandez and the other soldiers, including Jessica Lynch were taken by Hussein’s Special Guard and paraded as war trophies in front of an angry mob. The McAllen, Texas native said that while he when he was captured, he got a closer look at the enemy. Hernandez survived the attack and came home a national hero. After a whirlwind period of award ceremonies, parades and press conferences, Hernandez was honorably discharged but not quite ready to stop serving his country. So in July of 2003, he re-enlisted in the Army for four more years. This time around he chose to become a dental assistant stationed at the Sam Houston base in San Antonio. During those four years, Hernandez attended college and won multiple soldiering awards. Today, Hernandez has transitioned from his decorated military career to serving the Pharr, Texas police department. Settling into this new chapter of his life, Hernandez can’t help but look back on his life as a POW.